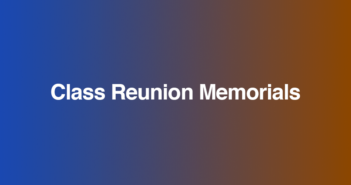 For millions of us, reunions offer a wake-up call. 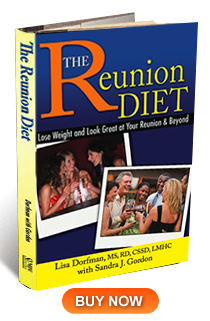 The Reunion Diet (Sunrise River Press, 39966 Grand Ave, North Branch MN 55056; 800-895-4585;sunriseriverpress.com; paperbound, 176 pages, $12.95) includes a last-minute diet plan for those who may be reading the book without much time remaining before their reunion. 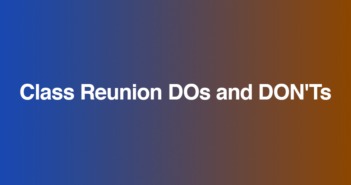 Whether you’ve got 10, 20, 30 pounds or more to lose before your reunion, The Reunion Diet can help you look and feel great when mingling and reconnecting with those you may not have seen in decades. “Writing a book about getting ready for your reunion seemed so shallow,” Dorfman said. 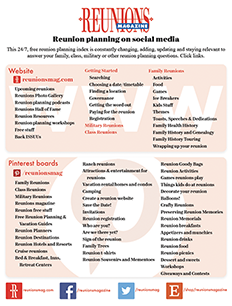 But she tracked down about 200 people via Facebook, and realized there are all types — class reunions, family reunions, even workplace reunions. 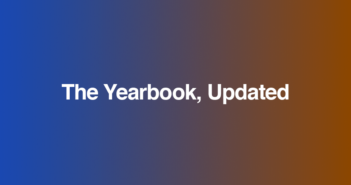 The authors present diet plans for the amount of time left before your reunion (1 year, six months, and one month). There is a plan for everyone. From a report by Nick Sortal in the Sun Sentinel, Fort Lauderdale, Florida. Previous ArticleIs there a good excuse?